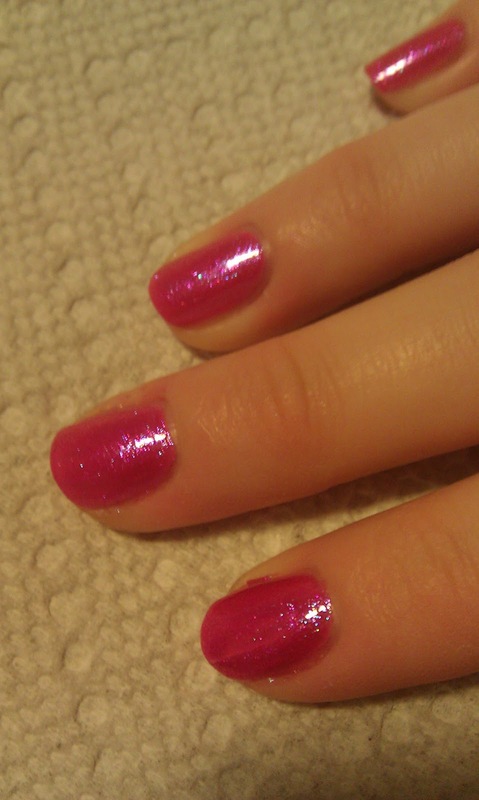 I have some polishes today that I received for Christmas and I can't wait to show them off! The first of my Pretty in Pink polishes is from the Sally Hansen HD collection called Byte. 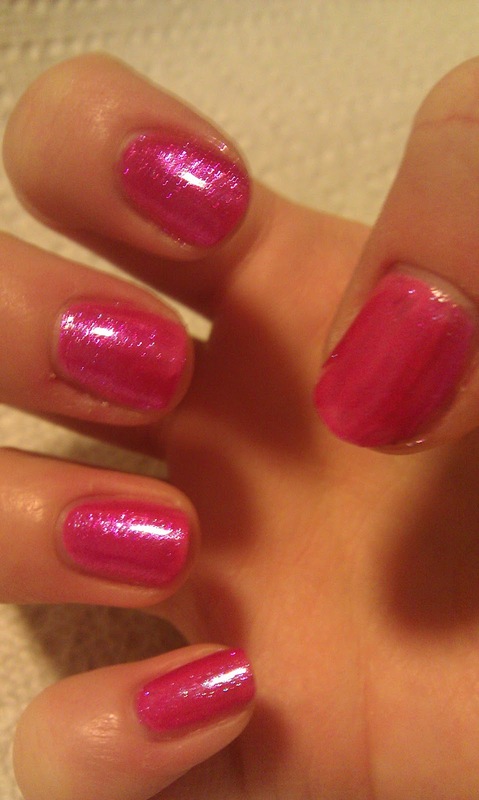 Its a great purpley pink with bright blue sparkle! 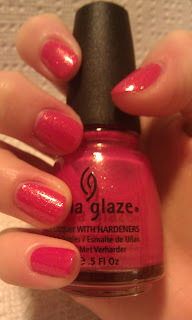 The next is a beautiful pink shade by China Glaze. 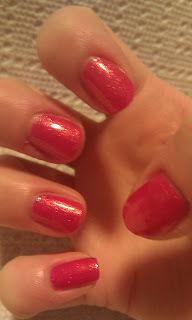 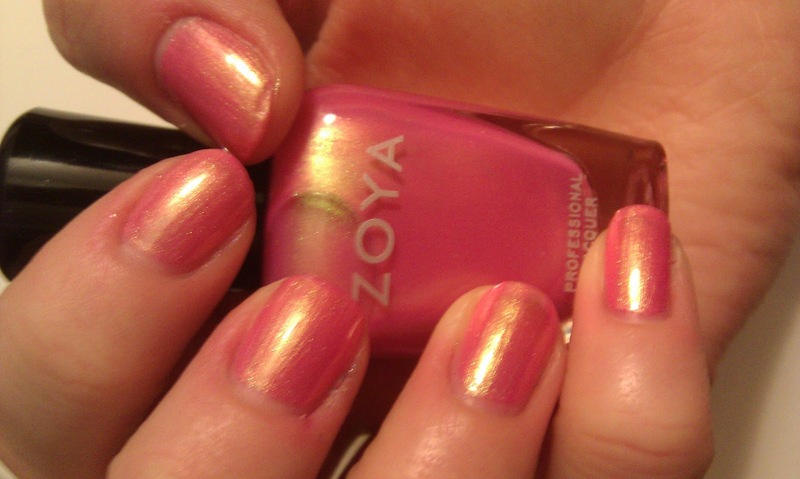 Strawberry Fields is a perfect bright punk with gold shimmer. I saw a blog post with a butterfly inspired design using this color and I knew I had to have it. This next pale pink color is a staple that has recently been added to my collection. Vintage Couture by Color Club looks really great on my skin tone this time of year! 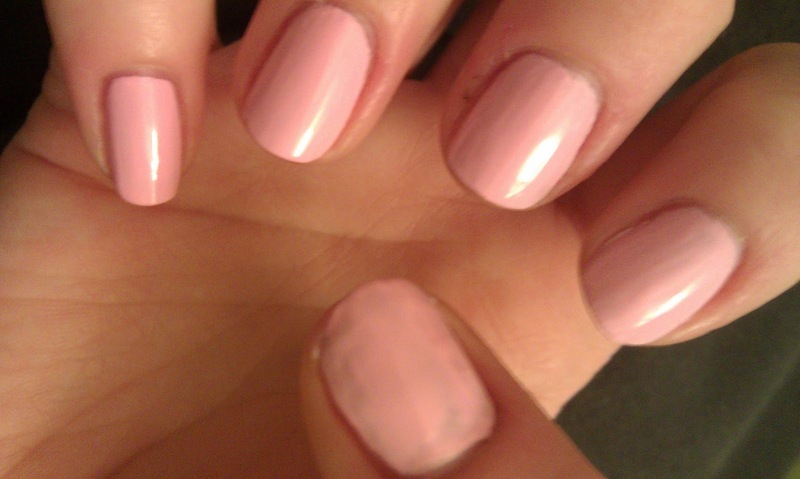 I have very pale skin and the pink just does something wonderful for it! The last Pretty in Pink Shade I have today is a Zoya shade called Happi. 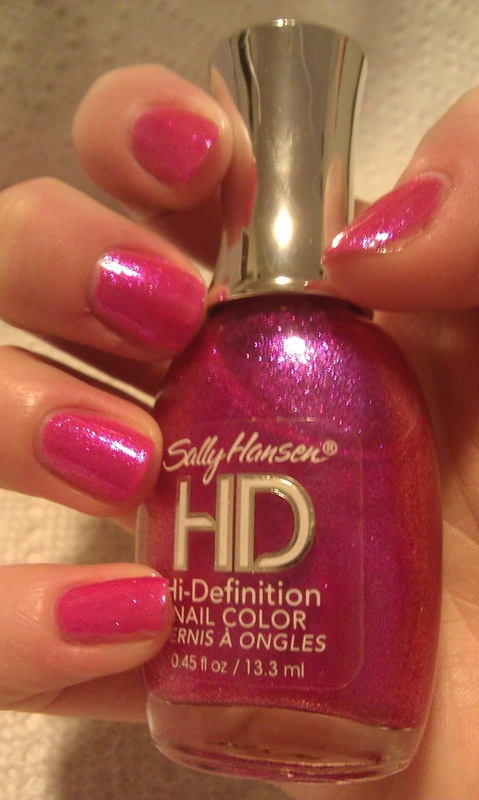 I am loving this color! 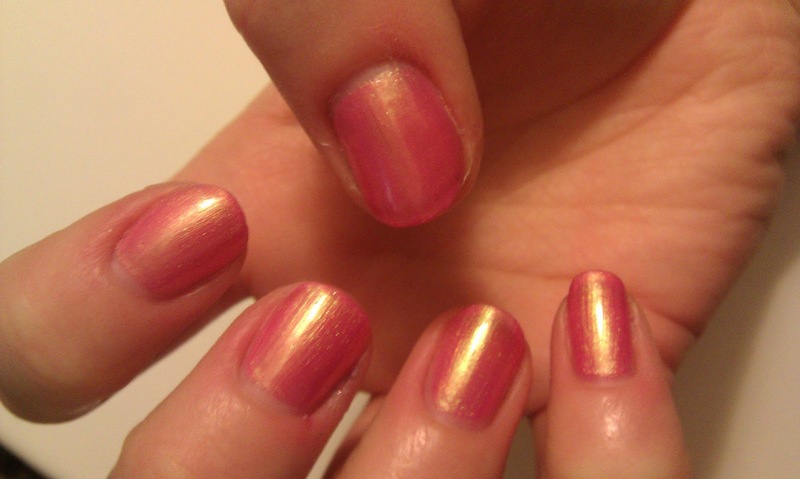 A pale pink shimmer with a duochrome of light green and yellow depending on how the light hits the nails.